There is a scene in the song ‘Namma Ooru Bengaluru’, from the blockbuster Malayalam movie ‘Bangalore Days’, where the lead actors bite into huge burgers while sitting in a colourful cafe. That, in a nutshell, sums up the reason behind the immense popularity of Cafe Thulp. A cheerful decor, pocket-friendly prices, games and books to pass time, and generous portions — the eatery was one of the most preferred hangout spots for youngsters in the city for a long time. It’s claim to fame was that it served some of the best burgers in town. 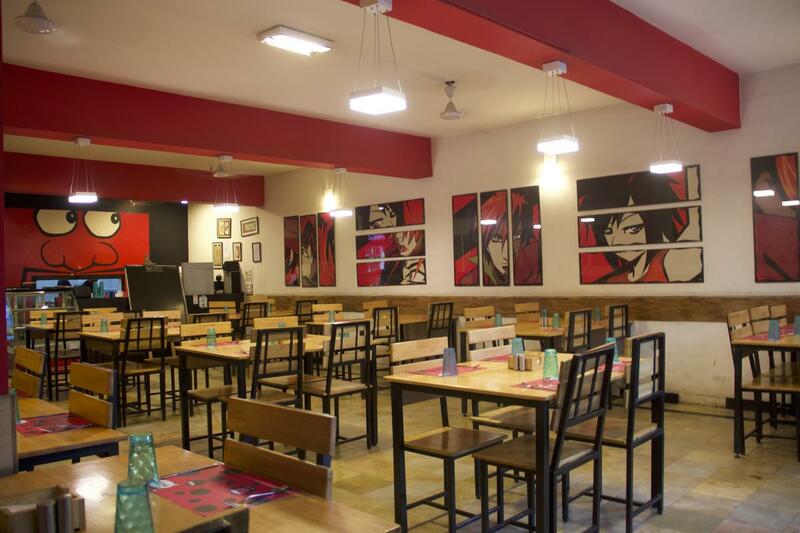 Recently, Cafe Thulp (with branches in Koramangala, Kammanahalli and Indiranagar) shocked long-time customers and fans when it announced its intent to move from a brick-and-mortar establishment to a purely online venture. “We took this decision to focus on the online model as the market dynamic has changed,” says Padmakumar Pillai, co-partner of Thulp, Asia In A Box and The Smoke Co. The cafe is known for its huge burgers. the staff as they have been a part of their 10-year journey. Among the many foodies disappointed by this development is Meghana Suraj Nair. “I was doing an internship in Jeevan Bhima Nagar in 2014 when I first saw Thulp on 80 Feet Road while travelling by bus. I loved the ladybird-themed decor of the place. Then one of my coworkers suggested I try the burgers there because I was a regular at ‘Plan B’,” she recounts. Soon she and her friends were regulars there. “One of my friends insisted I take her to Thulp just to try their burgers, after she watched ‘Bangalore Days’. That movie is the second main reason why many Malayalees started going to the cafe. The first reason is beef,” she says with a laugh. She recounts another interesting incident connected to the cafe. “I was following the owner of Thulp on Instagram for a long time, without actually knowing that he owns the place until one of our mutual friends told me. He is someone who loves experimenting with the food and he knows what people love,” she says, adding, “Did you know that the owner’s Instagram handle is same as the first item on their menu? It’s @gonzogarbanzo,” she says with a laugh. The cafe’s ‘Moo’s Yo Daddy’ is a crowd favourite. The beef burger has a highly pressed large quantity of meat inside, with a generous helping of cheese and crispy bacon rashers. The cafe is closing its physical operations on February 17. Gautam Krishnankutty and Padmakumar Pillai initially started off with ‘Asia in a Box’, a delivery-only restaurant. After they moved operations to bigger space in Koramangala, of which they needed only half for this work, they thought of opening a cafe to utilise the remaining space. Their idea was of a fun casual place with good, affordable food. Gautam’s love for movies and comics influenced the names of the dishes in the restaurant.